Zend framework is an open source, object-oriented web application framework based on PHP5 and licensed under new BSD License. Zend framework provides support of the Model View Controller to its users. It is basically the collection of PHP-based packages. In this tutorial, we will install Zend framework on our CentOS. 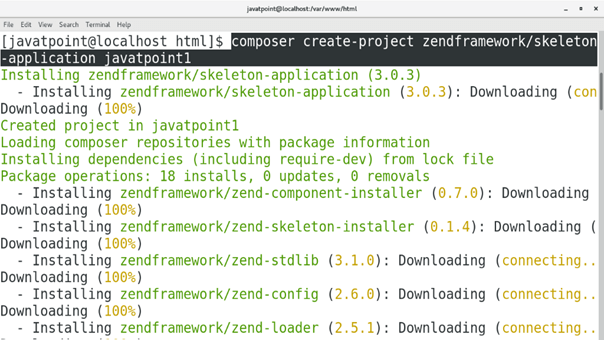 Installing Zend Framework is very easy. We just need to execute a simple command as follows. Change the current working directory to javatpoint1/public by typing cd javatpoint1/public and execute the following command. We can access Zend on localhost by just typing localhost:8082 in the browser's search bar. 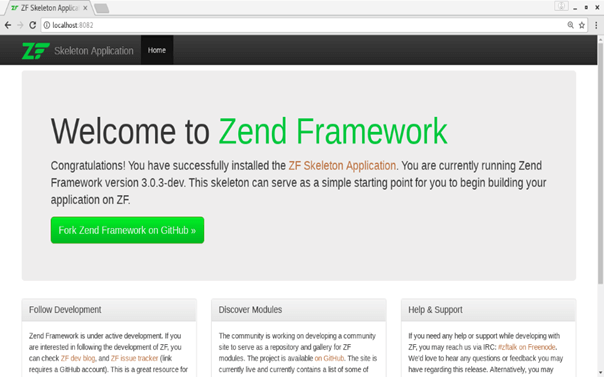 Hence, we have installed and get started with Zend Framework.